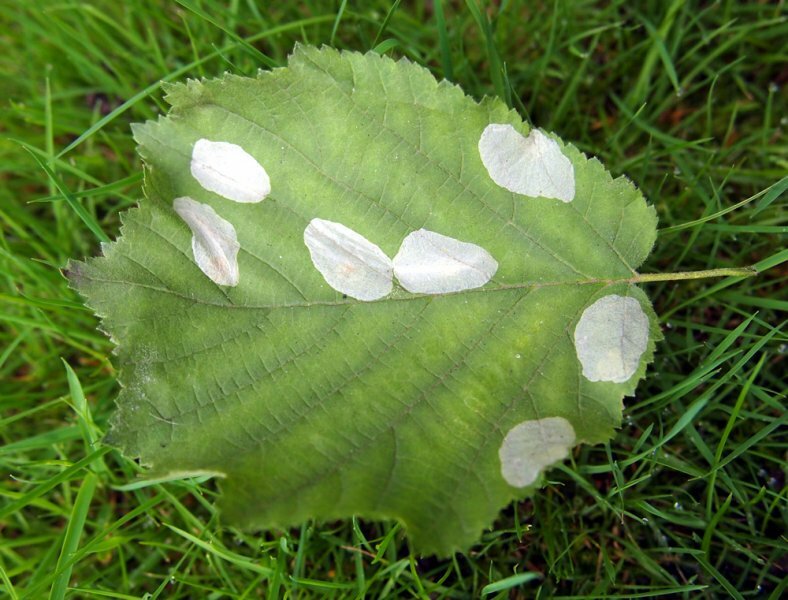 Leaves have blotches or ‘tunnels’ inside the leaf. These are often brown or white in colour. In some cases you can see the black ‘frass’ of the larvae within the mine, or possible spot the larvae itself. Leaf miners are the larvae of several different types of insect, including flies, beetles and moths. Adults lay their eggs on, or in, the leaves. The larvae hatch and mine into the leaf in order to feed from it. The larvae then pupates (which may happen within the leaf, attached to the outside of the leaf, or elsewhere (eg on the ground)) before emerging as an adult. The mines are unsightly by rarely cause serious damage. If a young seedling is badly mined then there may not be enough leaf tissue left for the plant to photosynthesise effectively, which can cause the seedling to wilt and die. 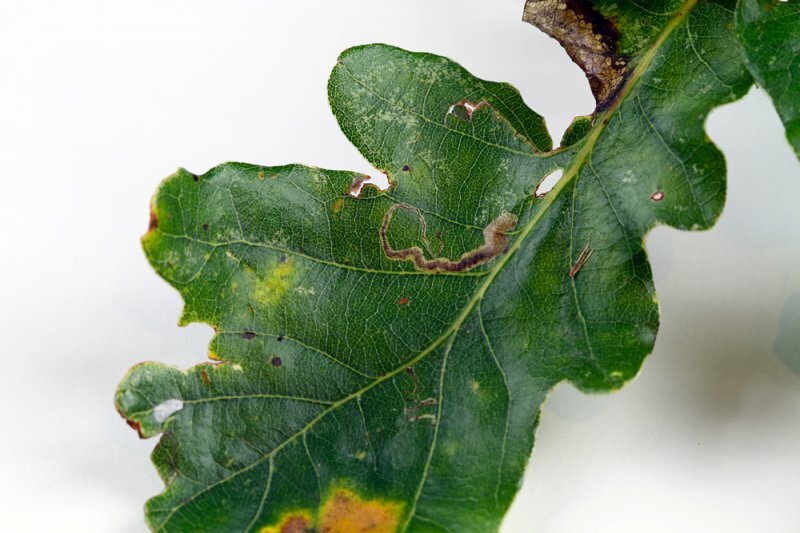 Leaf miners are found on a wide range of plants, growing both outside and under glass. For crops and smaller plants a covering of horticultural fleece or fine mesh can provide a barrier to stop the adults laying eggs on your plants. Various weeds can be hosts for leaf miners, so ensure you remove any weeds which may spread an infection to your other plants. Dig over the soil underneath the affected plant in the winter, which may help to destroy overwintering pupae in the soil (though not all species overwinter in the soil). Remove the affected leaves and destroy them (not on your compost heap). Collect and destroy any fallen leaves. 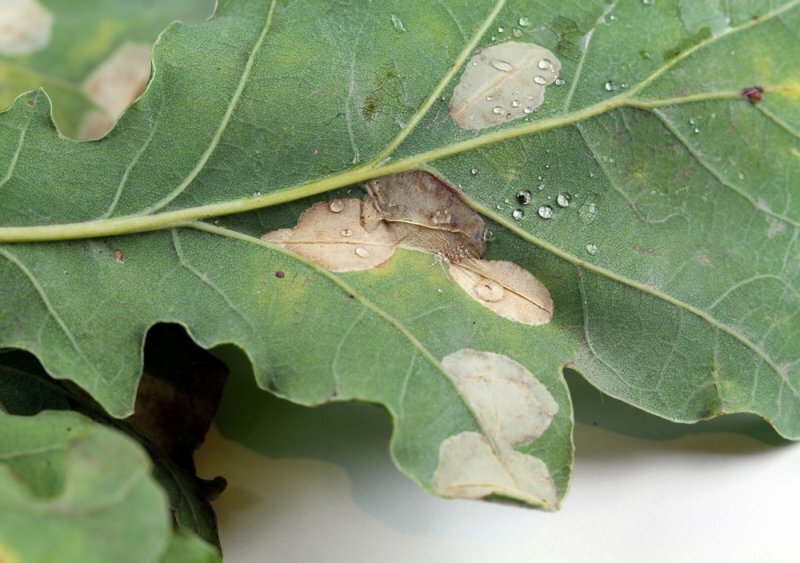 Contact insecticides may be effective if applied when the miner is a larvae, but this depends on the species of leaf miner you are dealing with. Biological controls are available for some species of leaf miner when they occur in glasshouses. 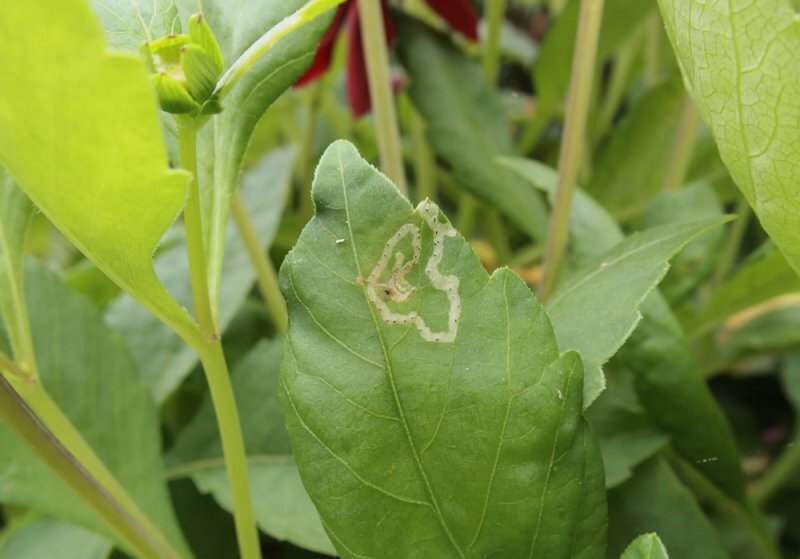 Leaf miners themselves have little benefit to the gardener, however the adults they turn into are generally beneficial insects, helping to control pests and, in some cases, pollinate plants.